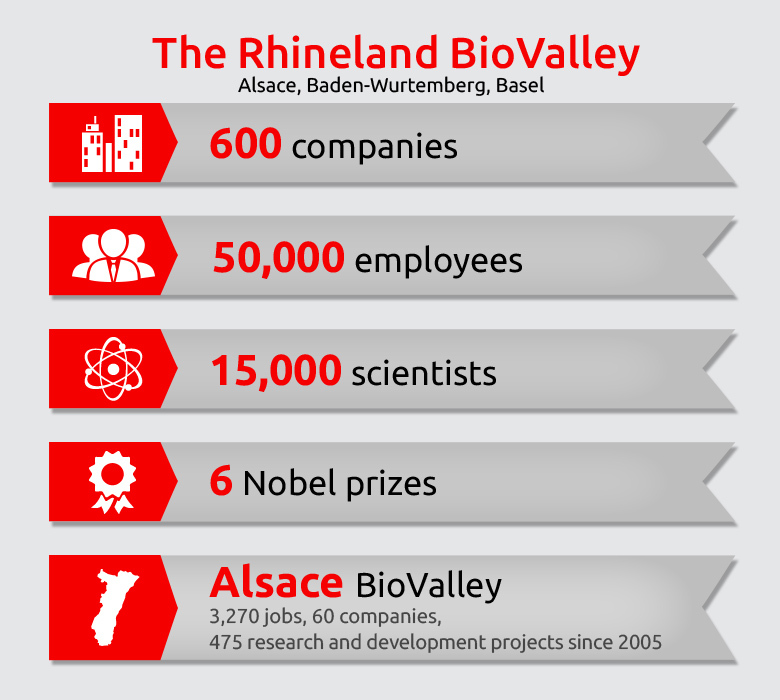 Located in the world renowned French-German-Swiss BioValley, Alsace is located at the heart of a tri-national network of excellence dedicated to pharma-biotech innovation. 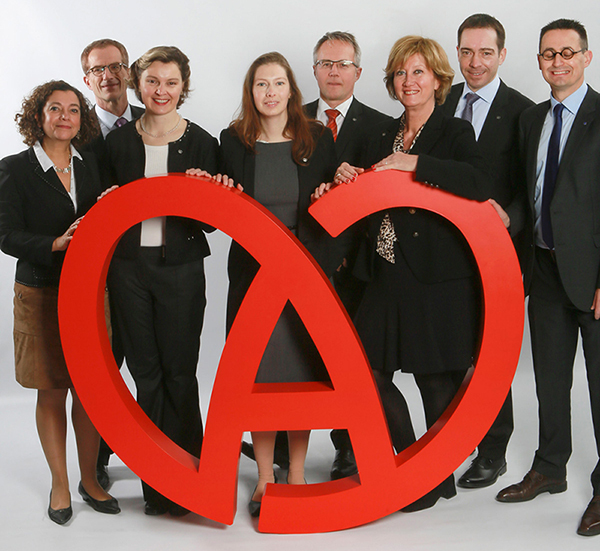 With numerous life sciences companies, Alsace is one of the leading and most dynamic regions in France in this sector. Highly regarded skills and expertise can be found throughout the drug development value chain providing the best environment to bring therapeutic innovations to the market as quickly as possible. Alsace is home to major players in the industry, including large pharmaceutical companies, such as Lilly (the company’s largest manufacturing site), Novartis (bioproduction site), Sanofi Aventis, Daiichi Sankyo… biotech companies like Transgene, and a wealth of CROs and CMOs, such as Quintiles, Catalent, PolyPeptide Group, Recipharm… Alsace also hosts many start-up companies in the health sector which have decided to anchor their activity in the area to benefit from this unique environment. Alsace is an integral part of the BioValley Cluster, one of the leading European Bio Clusters: more than 40% of the world leaders in pharma industry are located in this unique the tri-national area. Alsace is among the largest scientific hubs in France and it ranks 1st in Chemistry. It is home to 2 universities, 12 grandes écoles, 250 laboratories and over 5 200 researchers, as well as an academic hospital and many specialized research institutes. Over time, many distinguished personalities have studied at the University of Strasbourg, including 17 Nobel Prize winners. Four of them are currently active members of the Alsatian scientific community. It is also a European center of excellence in biology, biotechnology, medicine and material physics. Well-trained & available staff thanks to world renowned training facilities fully adapted to company needs… covering top research positions to lab technicians. With 44 000 students, 4600 teacher-researchers and staff, 37 training and research units…, the University of Strasbourg is a real asset for science-driven companies. Major international scientific organizations, like the European Pharmacopeia, the European Science Foundation, the Human Frontier Science Program – HFSP, the Kastler Foundation… are all located in Strasbourg. A centralized TTO, SATT Conectus, facilitates company access to research. A unique fiscal environment with the very competitive French R&D Tax Credit. Outstanding infrastructure, numerous sophisticated high technology platforms and one of the most state-of-the-art hospitals in France. A dozen university hospital centers with international scope within a 200 km radius, well adapted to conduct clinical trials. 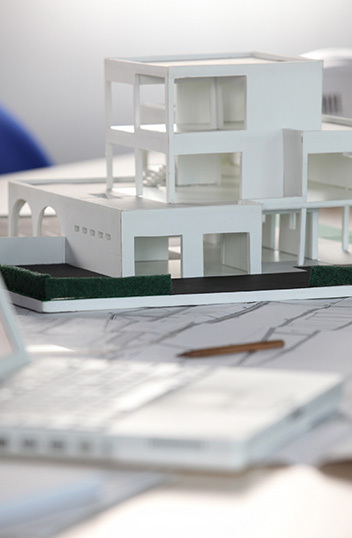 An incubator, SEMIA, dedicated to supporting project holders in their development. A large number of incubated companies are from the health sector. 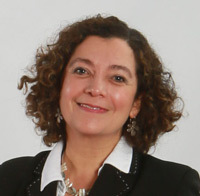 Patricia focuses on the economic promotion of Alsace, and is specialized in facilitating international investment projects in the Health, Pharma/Biotech and Medical Technologies sectors. She works closely with the local public and private partners to support you in locating your business in the area: Alsace BioValley cluster, the Technology Transfer Office of universities (SATT Conectus), Alsace Innovation, Banque Publique d’Investissement, Alsace's innovative business incubator, Business France, Access Alsace’s international network of representatives and companies in the health sector already established in the region. With a BA from Amherst College (USA) and a Magistère from Paris I - Sorbonne (France) in the field of International Relations, Patricia has been working for Access Alsace since the 1990s. She specialized in export development, European projects and international public procurements before taking over her current tasks.